Affairs and Hospitality Law Firm with over 15 Attorneys and Professionals. Since founding the firm,Theresa has guided the firm’s growth and solidified its position as one of New York State’s most respected and successful firms. As Co-Managing Partner and CEO, she focuses on key client relationships, attracting and retaining top legal talent to serve the firm’s clients, and developing the firm’s strategic direction.Theresa is committed to preserving a culture that fosters collaboration and an entrepreneurial spirit, earning “Best Place to Work” awards two years in a row by the Albany Business Review. Theresa leads the Firm’s Alcohol Beverage Licensing and Hospitality Law Practice and over the course of her career she has provided these legal services to restaurants, bars, hotels, caterers, cruise lines, liquor stores, wholesalers and other businesses on a broad array of alcohol law issues.Theresa has helped businesses navigate the often-complex liquor licensing process, providing her clients with peace of mind and significant savings in time and money. Theresa’s Government Affairs experience gives her deep insight into her clients’ most challenging legal issues and helps her formulate creative solutions by negotiating, litigating or changing laws and regulations. Great client service is the law for Theresa, who ensures her team’s accessibility and expects phone calls and emails to be returned promptly. Theresa has also served as a lobby law compliance officer for more than a decade, providing guidance to the firm and its clients on a wide spectrum of issues and acting as in-house lobby law counsel to many companies in New York State -training employees, establishing systems for capturing and reporting lobbying activity, and representing clients in audits and investigations. She routinely interfaces with the Joint Commission on Public Ethics (JCOPE) and the Office of the City Clerk in New York City. She has assisted clients throughout New York State and New York City with Alcohol Beverage licensing and lobby law compliance, and has become one of the state’s leading attorneys in those areas. 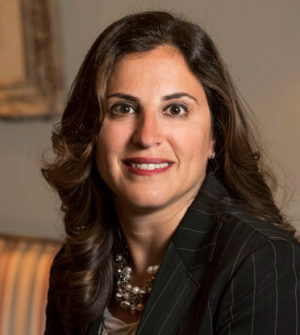 Before founding Shenker Russo & Clark, Theresa Russo worked for Wilson Elser’s Government Relations practice and established the firm’s Hospitality practice. Previously Theresa worked in the New York City Legislative Office under former Mayor Rudolph Giuliani and with former Governor David A. Paterson during his tenure as Deputy Minority Leader of the New York State Senate. Theresa lives in Albany with her daughter Tori and niece Lonnie and is an active board member of the non-profit Saratoga Sparks AAU Basketball League.